Because being inspired creates inspiration. Published with permission from The Bucket List: 1000 Adventures Big & Small. Almost no other image of a natural phenomenon evokes such wonder as that of the northern lights, or aurora borealis. In person, they are even more incomparable, a mysterious dancing mass of color. In Finnish Lapland, the northern lights are visible on roughly 200 nights a year; in southern Finland, it’s ten to twenty nights a year. An arctic light show can be seen in much of Scandinavia, such as in Norway. Traditional ways to spot them are snowshoeing, cross-country skiing, snowmobile, or sled-dog touring. You can also sleep under the rainbow glow in a 360-degree-view glass igloo located far from artificial light, so you can watch them all night while safely tucked in bed. The still, clear turquoise waters of Moraine Lake reflecting the towering scenery of Banff National Park make it one of those scenes you could sit and contemplate for hours. Don’t miss this truly special view of Earth’s natural beauty. It’s hard to believe that the sweeping, red-rock formation of Paria Canyon (“the Wave”) is naturally formed, such is the designed appearance of its undulating, surreal stripes. It has been carved out by a kind of wave-making machine, however, as first water, and then wind, steadily altered the ancient Jurassic-era sandstone into the mindblowing formations seen today. If you’re lucky enough to get a permit, it’s worth every second of the three-hour hike to get there. Go midday when few shadows fall for the ultimate bucket list photography shoot. 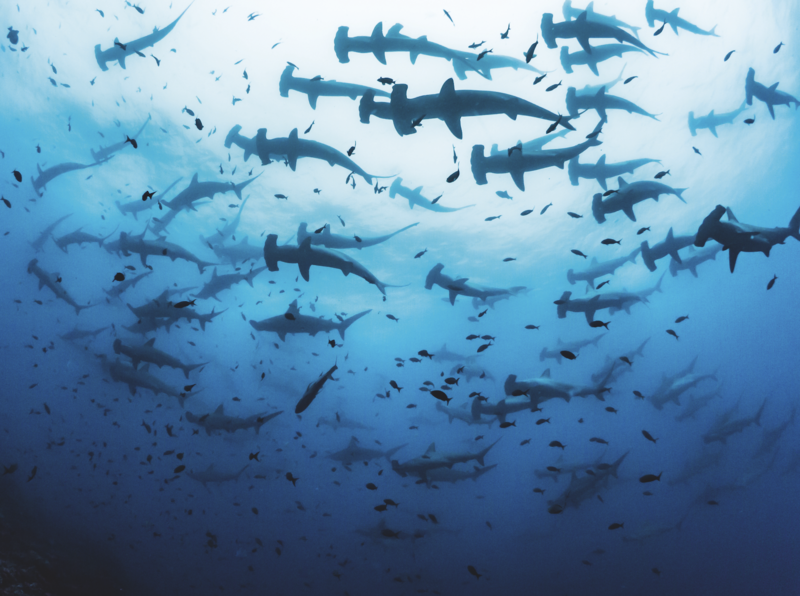 What is the collective noun for hammerhead sharks—a toolshed of hammerheads? Who knows? But to dive down and look up at hundreds gathered above you in the sea on the remote Cocos Island is a truly spectacular sight. A fjord to rival any in Scandinavia, to say Milford Sound has gotten rave reviews would be understating the point. Gaze upon the bays and waterfalls that Rudyard Kipling judged the “eighth wonder of the world.” It’s a truly beautiful setting. The Antarctic is Earth’s last great proper wilderness. If you really want to get away from it all, this is the place; it can be done as part of a trip to South America. Why come? To see the unique wildlife, spectacularly untouched scenery, and to soak up the history of explorers who have been here before. Small expedition ships tend to run through the warmer months (October to March, before the ice begins to set again), while the very intrepid can even fly up the region’s mountains for some extreme skiing—or push on to the South Pole. Punta Arenas is probably Chile’s easiest point to jump into the area: from this southernmost populated center, a boat trip into Antarctica proper takes just a week. Seeing penguins, whales, dolphins, sea lions, seals, and albatross is almost guaranteed. Cruises from King George Island head out to numerous other islands, and short hikes can be undertaken. Knowledgeable tour guides can educate about the region’s biology, glaciology, and oceanography. There’s no sky like an Antarctic one, either: a thousand shades of blue and white, tinted azure. Extremely unforgettable.